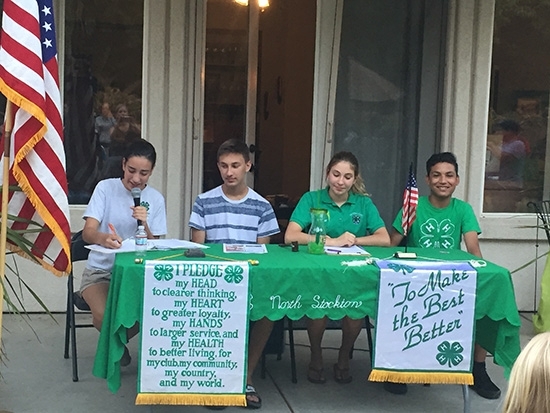 We are launching our monthly STEM Highlights with two stories about 4-H'ers doing STEM projects in their clubs. 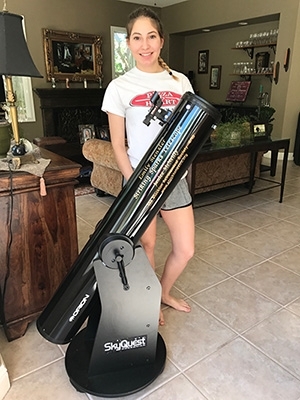 Emily in the North Stockton 4-H is starting up an Astronomy project, and Casey, Elyjah and Sencio in Madera are having fun with Junk Drawer Robotics! Hi, My name is Emily Stenzler. I am 15 years old and currently the President of North Stockton 4-H. This year, I started a new project called Astronomy. 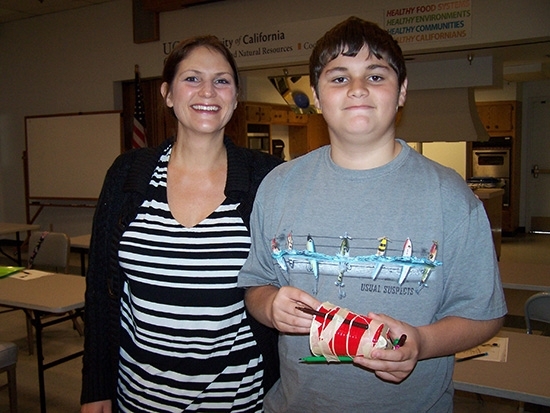 A few years ago, I participated in a contest with the local Stockton Astronomical Society (SAS). I was nominated by a teacher for this contest. I attended various lectures organized by SAS and I also attended many star parties where I learned about the sky. I was selected from many applications and won my own telescope. From here, my passion of Astronomy grew and I decided to start a North Stockton STEM project on Astronomy. For our first meeting, I invited SAS to come to the school and set up telescopes. After our general meeting, members got to go outside and learn about our night sky. Since this was early in the year, it was pretty cool since potential members also participated and love it (and joined our group). 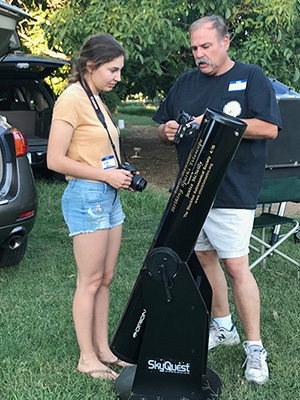 In May, I will be setting up my telescope, along with other SAS members, and North Stockton 4-H members will get to share in my passion of the night sky! We have been having a blast with Junk Drawer Robotics and the Power of Wind. We did a couple of training exercises with John Borba at the Kern County 4-H extension office before he set us free with supplies to show other kids. 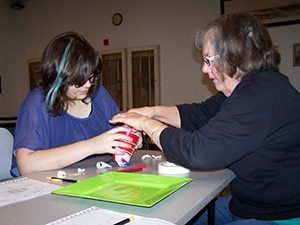 Kids are given a limited number of supplies and challenged to build an object that will perform a task. The best part is watching the kids figure it out and seeing how excited they get when they understand the challenge. Our favorite project so far is the “Can-Can” robot. We were given a plastic cup, tape, rubber bands, markers, a little motor, a battery, and an eraser. We were told to build a robot that was able to draw on paper using only these items. When we finally figured out what the eraser was for, the robot came to life! Our robot vibrated all over the paper, drawing gloriously! Taking everything we have learned to our club meetings and teaching others has been so challenging and yet so rewarding. We love STEM! 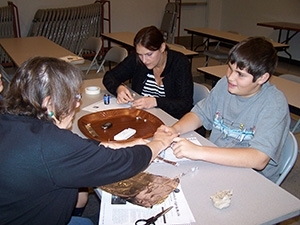 Are you doing STEM projects in your club? Share them with us for the monthly STEM spotlight post. Submit your story and photos to morikawa@ucanr.edu.